For high output spray polyurethane foam and polyurea applications. This package includes a WD0202 (02) wide round mix chamber with a 0.046 orifice size. 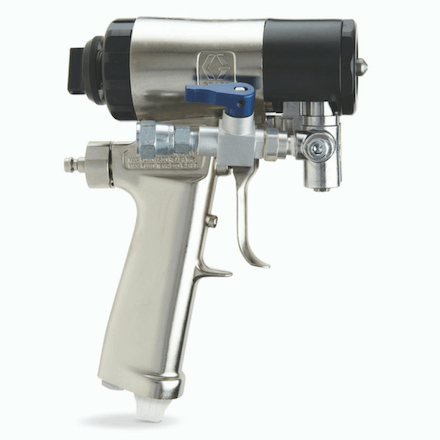 ClearShot Technology sets the Fusion CS gun apart from every other applicator. 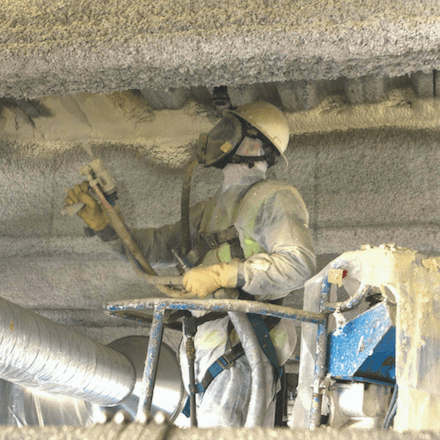 With its revolutionary technology, the Fusion CS is poised to virtually eliminate drilling of the mix chamber – increasing your spraying uptime and reducing downtime spent on maintenance. Flexible for polyurea and foam applications, this gun provides you with versatile advantages. All GRACO Fusion CS documentation, manuals and resources available HERE.